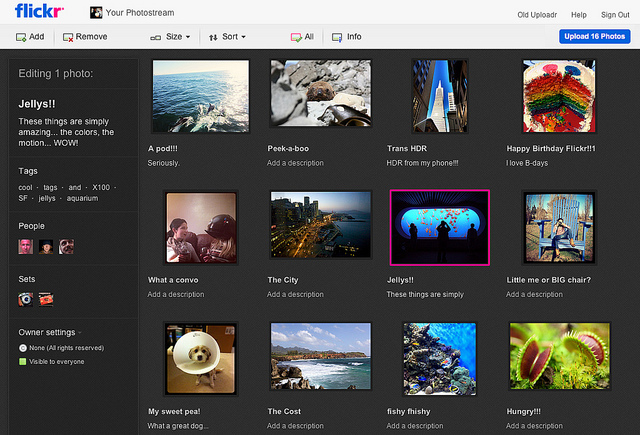 Flickr recently introduced wih uploadr's new features. Flickr Uploadr now supports HTML5 and the changes contained in the main interface as well as speed download photos or video. 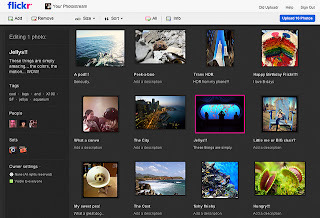 It is great that Flickr users can now upload via Uploadr by dragging and dropping from the folder on your computer. Not only that, with the preview thumbnail, it allows users to drag and move images, arranged in order of preference, rotate, crop image before sharing it with friends. Course options like add titles, tag, will be available in the Uploadr. Besides the new interface, now promises Uploadr upload speed increased significantly. Flickr upload speed that up in the U.S. now increased from 20-30% while on a global scale can be 50-60%. Limited capacity to upload photos has now greater than for users with 30MB and 50MB free for user fees. Said Flickr Uploadr will officially put into use in the next few weeks and supports Firefox, Chrome and Safari web browsers.